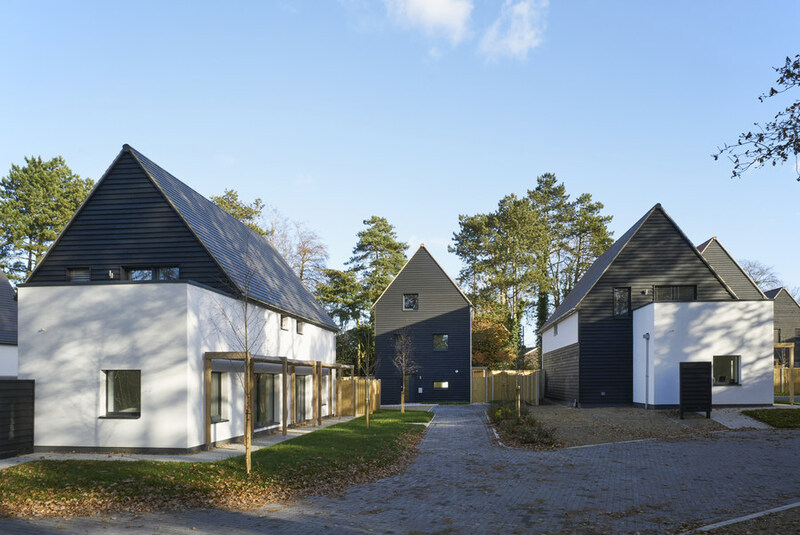 Carrowbreck Meadow housing scheme in Hellesdon, Norwich, designed by specialist interdisciplinary design consultancy Hamson Barron Smith, has won a National RIBA Award. These awards are given to buildings across the UK recognised as significant contributions to architecture. This follows success in the regional rounds, where Carrowbreck received a RIBA East Award. Constructed by R G Carter, this is the first development for Broadland Growth Ltd, a joint venture between Broadland District Council and NPS Group to deliver carefully planned, affordable, high quality developments. The scheme comprises fourteen fully certified Passivhaus homes and is applauded for setting a new benchmark for local authority housing in the region. It combines a mixed but blind tenure scheme, with 43% affordable housing. It has also considered biodiversity carefully and provides woodland paths and an animal haven. Sarah Lewis, Associate Architect – Sustainability at Hamson Barron Smith, said: “This project has delivered an important benchmark for future developments by demonstrating best practice in the design, layout and construction of affordable units within housing developments.